The British-Serbian Chamber of Commerce is delighted to announce its support xCEEd 2017. We would like to invite you to xCEEd, 2017 the first regional FinTech Conference to be held in Belgrade-Serbia on 18-19th May, in the fast-moving, rapidly growing Central and Eastern Europe (CEE) region. Pannovate, in association with the UK’s Department for International Trade (DIT) and the Emerging Payments Association (EPA) is producing a 2-day specialist event focusing on the practical application of financial technologies in CEE. xCEEd will bring together banking, payment service providers, lending and financial services delegates from over 50 companies from 11 countries and we would love for you to join us. Our expert speakers and panelists, with their diverse range of experience from the UK’s leading banks, world’s largest e-com retailers, regional regulators, and the UK’s hottest FinTech start-up will be covering a range of topics; from Corporate culture to risk assessment, AI and Blockchain. xCEED is not only a unique opportunity to tap into domain expertise from the world’s most prominent professionals with proven use case experience at the forefront of digital banking, but also a rare chance opportunity to be part of a nascent community that is designing its own digital roadmap in a region with significant opportunities for FinTech. 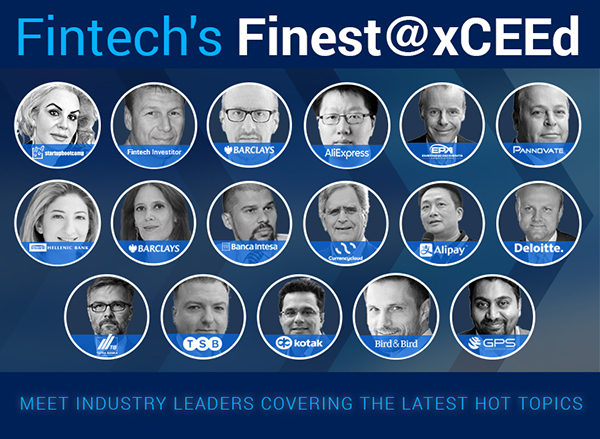 For a taster of the conference, please explore our blog and hear our speakers and panelist discuss the latest FinTech Hot Topics in xCEEd’s exclusive video interviews. Please register now to secure your place at the conference. We look forward to seeing you at xCEEd. Our three-day event is a mix of keynote sessions from UK leading banks, insight from regulators, interactive panel debates and live demonstrations from UK’s hottest FinTech start-up, covering a range of topics; from user experience to AI and Blockchain. Accompanied by a buzzing exhibition hall full of the latest in FinTech innovation and the crème de la crème of UK’s industry, this is a unique opportunity to tap into domain expertise from UK’s professionals with proven use case experience at the forefront of digital banking. Add logos and images, choose colours for backgrounds and text to design your own Badge. Pannovate GaaS Solution is quick and easy to use and produces creative and unique designs perfect for any card product.